My mom LOVES soup. She eats it for lunch in the middle of summer, and I’m not talking about gazpacho. She’s been asking me to make her that Chorizo, White Bean, & Kale Stew from a few weeks ago, but I have too many other recipes to try first! 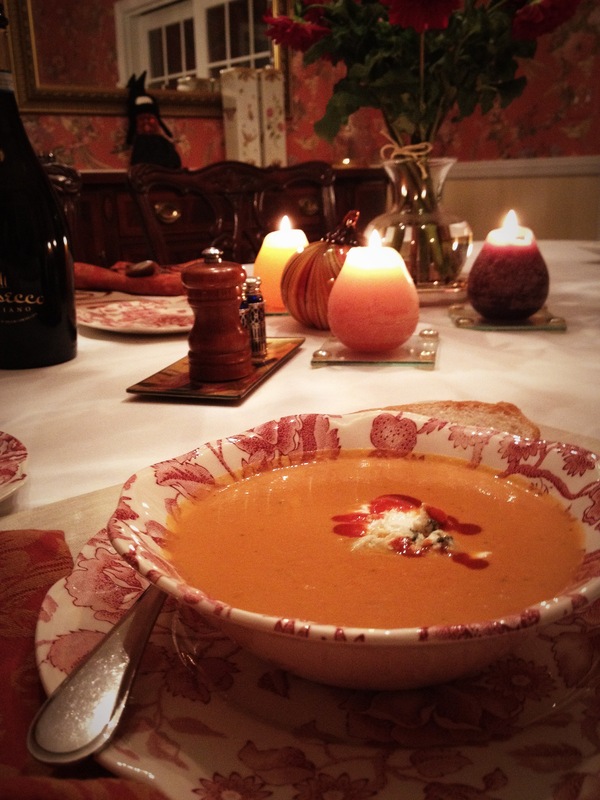 So, when I was home in NJ on Sunday I decided to make this awesome spicy tomato and blue cheese soup to welcome my parents back from their vacation. I don’t want to say I deserve, like, a daughter-of-the-year award or anything, but I think that was a pretty welcoming aroma to arrive home to after several hours on the road. This past weekend felt like the first significant temperature drop of the season, too. 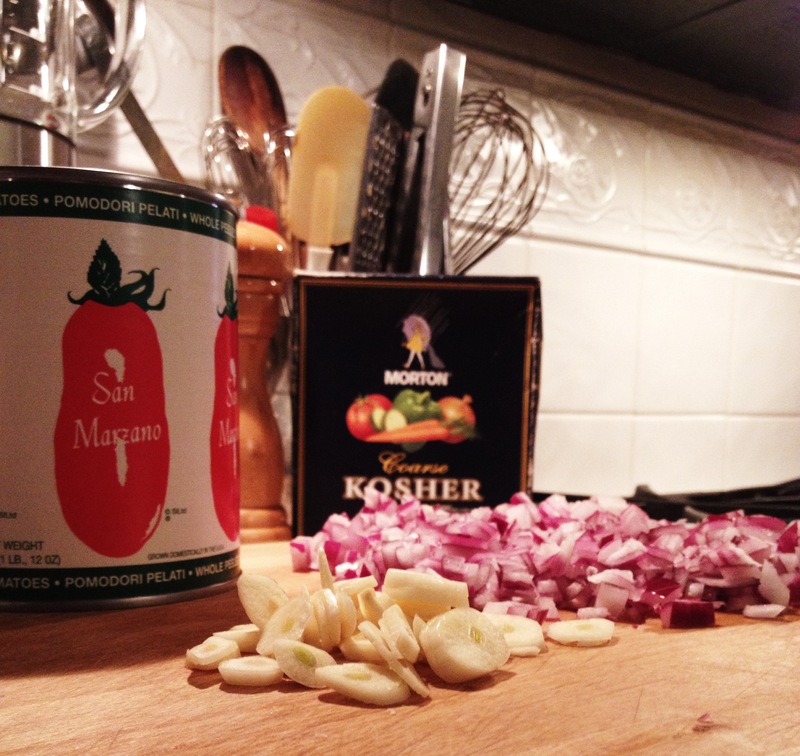 It was a pleasingly comforting dish for all parties involved. I’ve made this recipe a few times and I can’t figure out why I don’t make it more often. It’s an exciting version of the classic creamy tomato. Yes, I’m aware I’ve told you I don’t like tomatoes, but for some reason if you add cream and liquefy it, I’m 100% down. 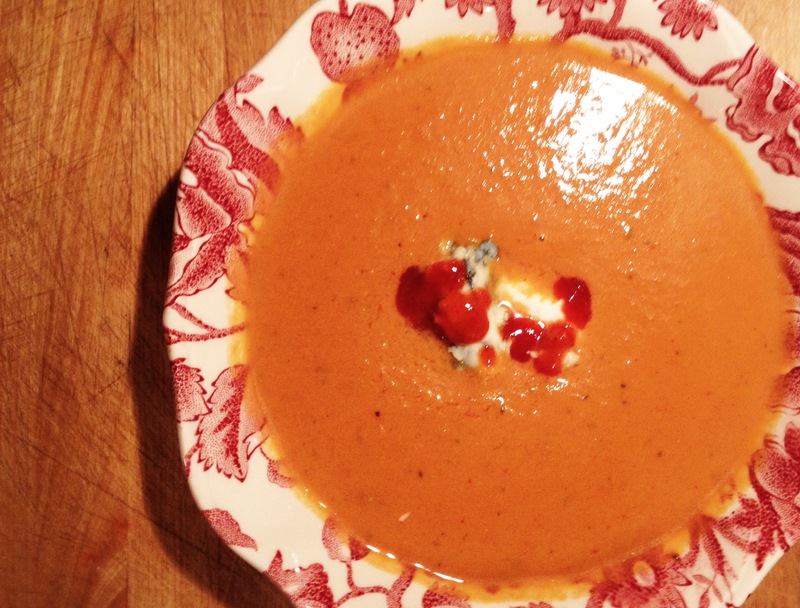 This soup has something for everybody: sriracha for the heat-seekers, blue cheese for the ones with good taste, Greek yogurt for the ones who want to make it seem healthy. I like it all, but let’s be honest – my favorite part is that I get to sop it all up with a warm piece of crusty bread. Whip this up after a chilly day of hiking, a rainy day around the house, or whenever you’re in need of a warm bowl of comfort. And remember what Campbell’s (and my mom) says: Soup is good food. Now if you’ll excuse me, I’ll be over here planning my next date with my Dutch oven and homemade chicken stock. Heat the olive oil over medium heat in a heavy bottomed, 4-quart pot. 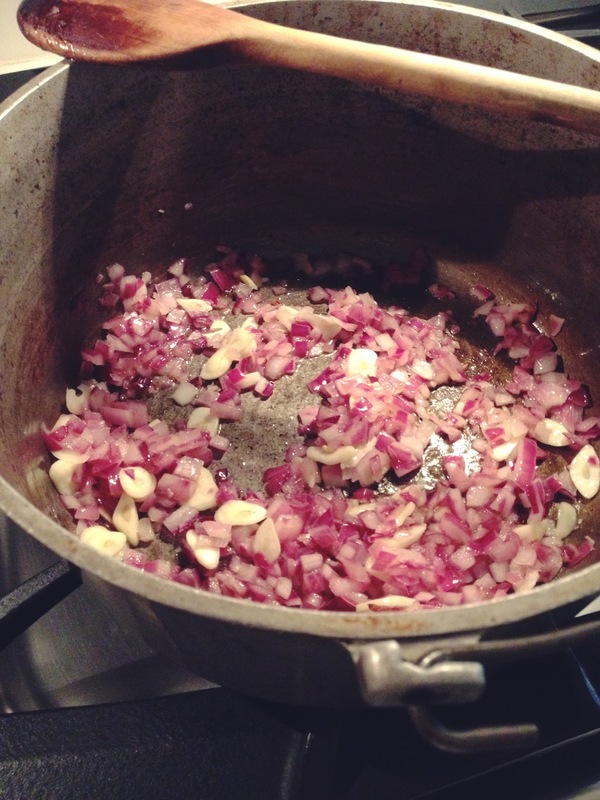 Once the oil is hot, add the onion and a generous pinch of salt. Sweat for about 2 minutes. Add the garlic and sweat for another 2 minutes. 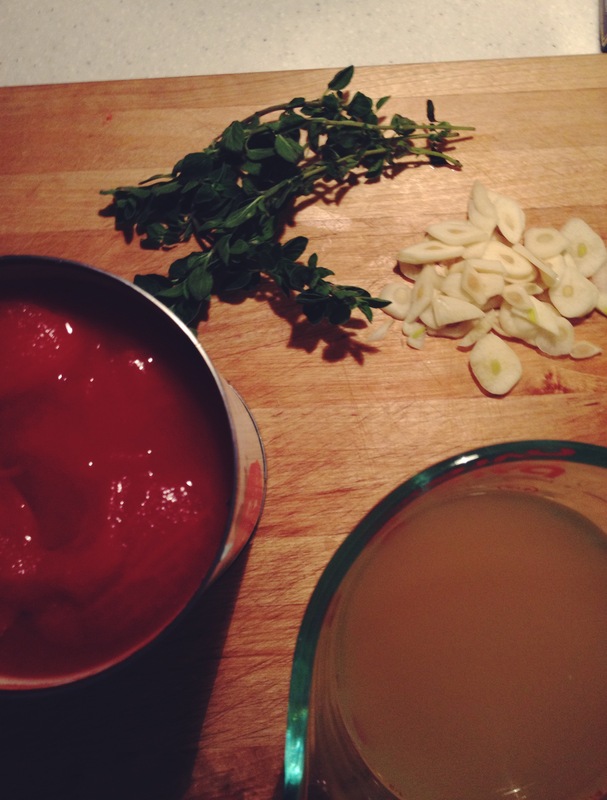 Add the tomatoes (with their juice) and the stock. Bring to a simmer. 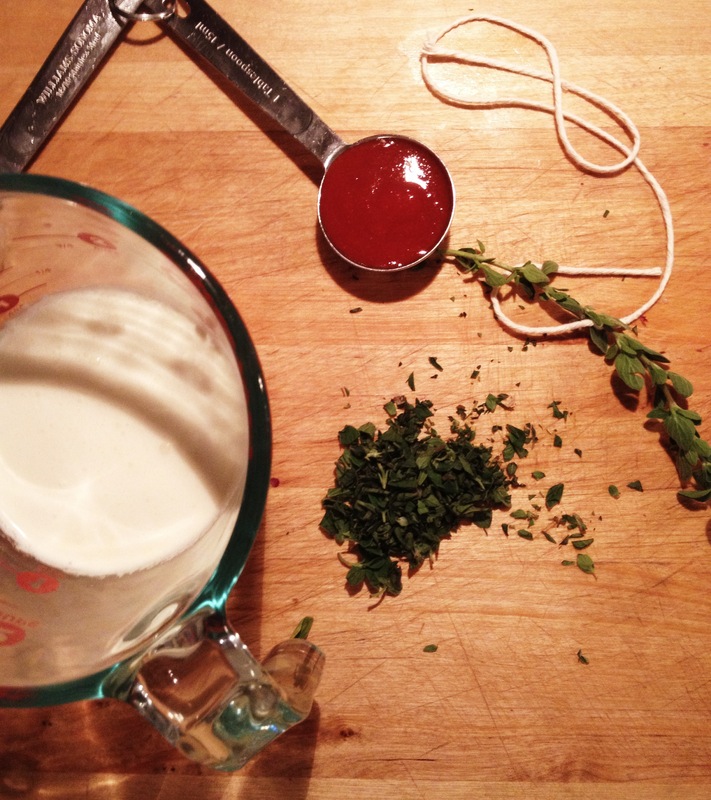 Once simmering, add the spring of oregano (you can tie a piece of kitchen string onto it so you can pull it out when you’re finished), the cream, sriracha sauce, and chopped oregano. Simmer for 20-25 minutes. 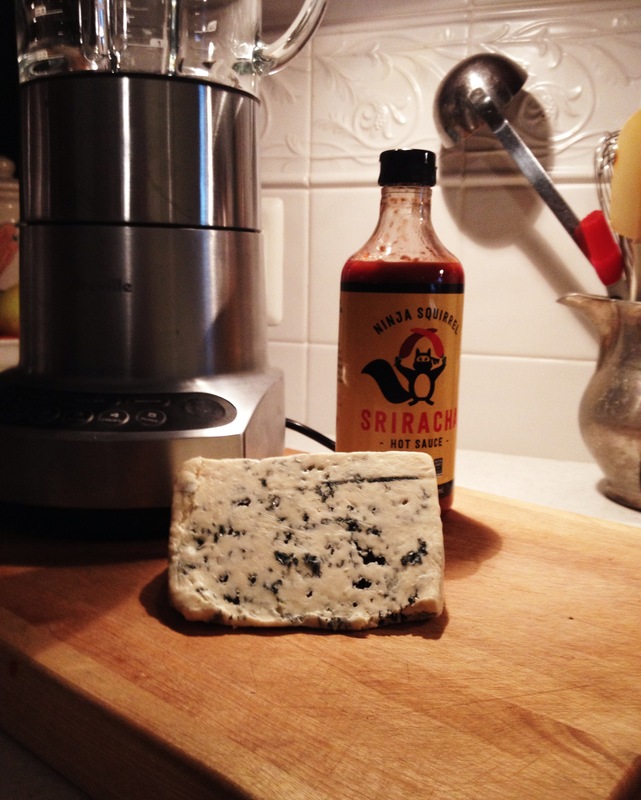 In batches, pour the soup into a blender with the blue cheese. (If you fill a blender with a hot liquid and cover it up without allowing cool air to reach it, it will explode. Trust me. Alternatively, you can use an immersion blender.) Blend until smooth. Strain through a fine-mesh strainer into a clean pot (again, this may be happening in batches). 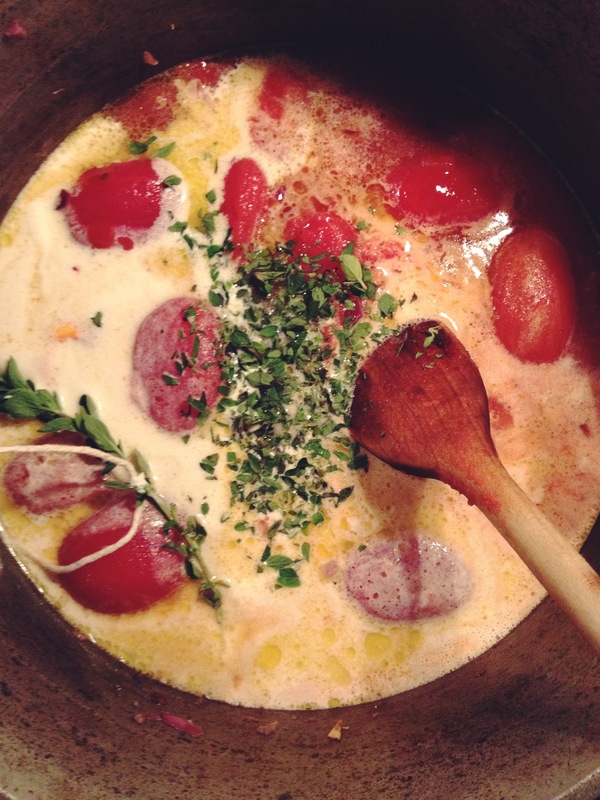 You may want to keep a few spoonfuls of unstrained soup in the final dish for a hint of texture. Reheat a bit before serving. Serve with a generous dollop of Greek yogurt, a crumble of blue cheese, and some extra sriracha.